First is Heirs of Promise: The Church as the New Israel in Romans by P. Chase Sears, which is part of the Snapshots series, edited by Michael Bird. Sears examines the relationship between the Church and Israel by taking a biblical-theological approach to the book of Romans. He argues that Paul views the Church as the new Israel—not a replacement of Israel, but rather the continuation of Israel reconstituted in Christ. As the Son of God, Jesus is the true Israel, through whom all of God’s purposes for Israel and creation are realized. Through faith in Christ, the Church becomes God’s new covenant people and heirs of all his saving promises. Sears examines how people united to Jesus find their identity in him. He explains how Old Testament promises made to Israel are being fulfilled in the Church. And he shows how Paul applies descriptions of Israel to all those who believe the gospel. These themes from Romans demonstrate that Paul considers the Church to be the new Israel, and thus Heirs of Promise. 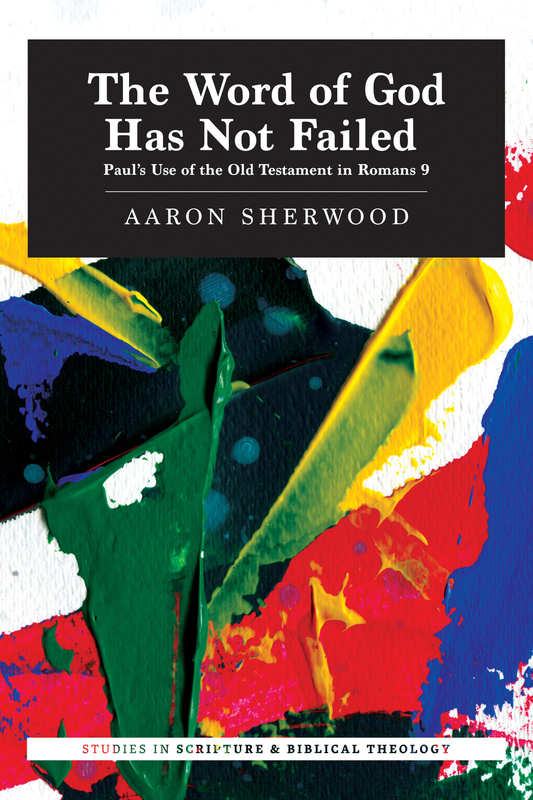 Next is The Word of God Has Not Failed: Paul’s Use of the Old Testament in Romans 9 by Aaron Sherwood. This is the inaugural book in Studies in Scripture and Biblical Theology, a peer-reviewed series of contemporary monographs exploring key topics and issues in biblical studies and biblical theology from an evangelical perspective. Romans 9–11 has long been an interpretive battleground. While many scholars understand it to be a treatise on election, Sherwood argues that Paul is primarily interested in defending God’s covenantal faithfulness. The first major passage of this section includes a long series of Old Testament citations, and Paul uses these texts to explain what God is doing with Jews who have rejected Jesus. Sherwood presents a fresh reading of Romans 9:6–29, focusing on Paul’s use of Scripture. Since this passage contains such a high concentration of Old Testament quotations, it is vital to explore how Paul understood and interpreted those texts. Only then can we really understand the thrust of Paul’s message. According to Sherwood, Paul sees the rejection of the gospel by unbelieving Jews as idolatry. He explains how God’s judgment on them is working to fulfill his covenantal promises. And he shows that the inclusion of believing Gentiles is a fulfillment of God’s promises to bless Israel and to make them a blessing to the nations. 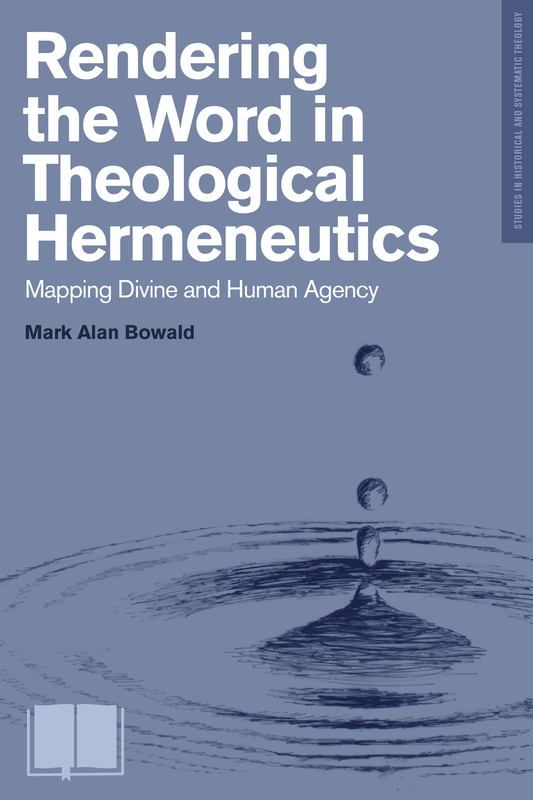 And finally we have Rendering the Word in Theological Hermeneutics: Mapping Divine and Human Agency by Mark Alan Bowad, part of our Studies in Historical and Systematic Theology series. What is the relationship between divine and human agency in the interpretation of Scripture? Differing schools of thought often fail to address this key question, overemphasizing or ignoring one or the other. When the divine inspiration of Scripture is overemphasized, the varied roles of human authors tend to become muted in our approach the text. Conversely, when we think of the Bible almost entirely in terms of its human authorship, Scripture’s character as the word of God tends to play little role in our theological reasoning. The tendency is to choose either an academic or a spiritual approach to interpretation. Bowald asserts that this is a false dichotomy. We need not emphasize the human qualities of Scripture to the detriment of the divine, nor the other way around. We must rather approach Scripture as equally human and divine in origin and character, and we must read it with both critical rigor and openness to the leading of God’s Spirit now and in the historic life of the church. From this perspective, Bowald also offers a fruitful analysis of the hermeneutical methods of George Lindbeck, Hans Frei, Kevin Vanhoozer, Francis Watson, Stephen Fowl, David Kelsey, Werner Jeanrond, Karl Barth, James K.A. Smith, and Nicholas Wolterstorff. For the best price, pre-order the Logos digital editions of these books today!